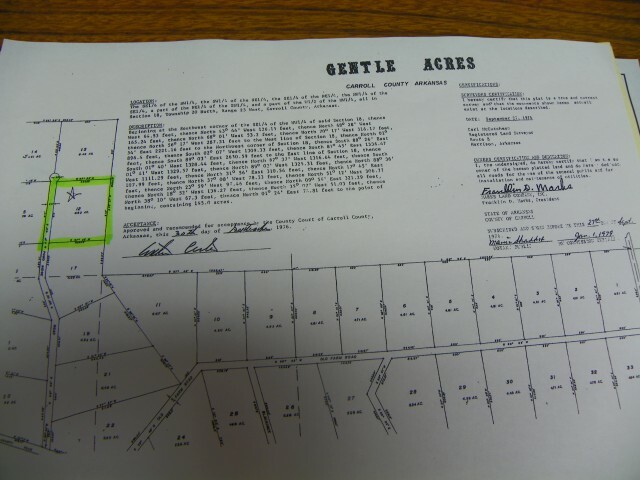 Lot 12 of Gentle Acres Subdivision located north of Green Forest at 153 CR 6450. The lot is surveyed at 4.9 acres, lots of woods. Pick out your own home site,. Some restrictive covenants do apply. For more information and a private showing contact Agent for seller, Cheryl Hoppe at Norris Realty 870-438-6574.